All of this has happened before. It will happen again. It’s been almost a month now since Resolver was released and I just wanted to send a big thank you to the many, many of you who picked up a copy of the book. It seems that you’re all quite traditional, as the physical book has outsold the digital by a lot! The book’s launch party was great fun, with a good turnout and some surprises on the night. Huge props to Jonny Lynch for organising it. He released his Tome/Resolver parody novel, DETONATOR, I Hardly Know ‘Er - which is absolutely hilarious and a great read. I hope you like your books written in the style of an Animaniacs episode written by an actual maniac. Pick up DETONATOR by Jonny Lynch on Amazon now and enjoy! Once again - huge thanks to everyone who picked up RESOLVER. Extra, extra special thanks to Lisa Sieger, who was an amazing editor on the book too. THANK YOU! Yes, that is me on the cover. Jonny is on it twice, because he has to win at everything. I am extremely proud of this book and hope that everyone who reads it enjoys it. Tome is still available for FREE on this website in digital form if you need to catch up with the story, and I hope that you will support Resolver on Amazon, available in eBook and paperback formats. I am so excited to share this story with the world. Enjoy! 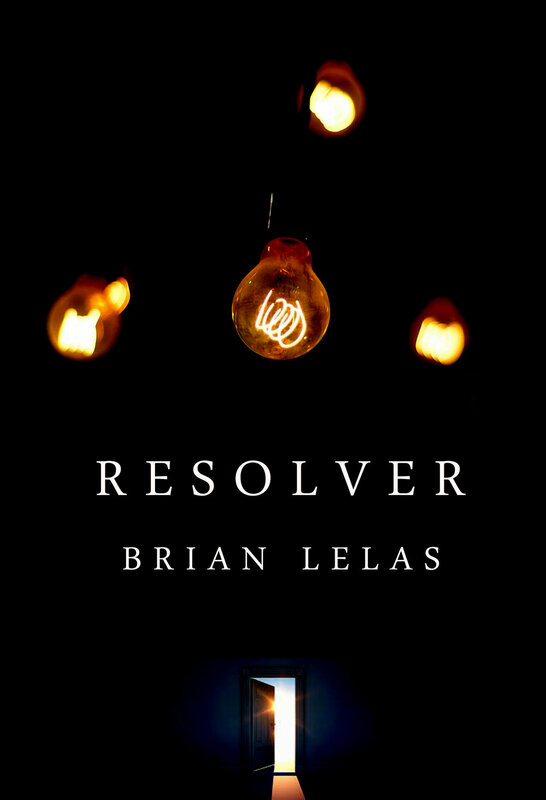 RESOLVER - Pre-Order is live, and a look back on the last four years. It’s done. The first copy of Resolver has dropped into the publisher’s hands and is going through the process. Though some edits may still happen after the print deadline, the book is currently complete and with KDP and sitting in the middle of internet-land awaiting publication. It’s a very exciting step to have the whole book uploaded and ready to go, pending any last minute edits from my team of amazing proof-readers. This year, I had an incredible response from the unsung heroes of the proofing world, especially from Lisa Sieger-Jamison who did a phenomenal job as editor on the book. The turnaround time was the exact opposite of writing time. Ultra-quick! Thank you, Lisa! Right now, at the time of writing, I am 100% finished the book. It’s a weird feeling. Resolver took a crazy amount of time to finish. 4 years. It was a difficult book, which has no business being as good as it turned out. I am massively proud of it, especially when I look back at the circumstances around its creation. It suffered from being the project that I started when I took on a new job. That job has been a dream come true and a massive challenge all in one. I’ve had more health issues in this time than I have in my entire life before that, too. The book suffered from sharing a lot of plot similarities with a big hit movie (Arrival) which required some significant re-writes. Over 100 pages of it were lost when my house was broken into and my computer was stolen. I’ve had one of my sons go from 1-year-old to 5, and another born and break into his terrible twos in that time. I’ve seen my eldest son finished many, many books of his own, at the age of 7, putting me to shame completely. I’ve also lost a couple of hundred hours to Legend of Zelda: Breath of the Wild and The Elder Scrolls V: Skyrim in that time, too. Resolver is a story about making a call. What do you do in a difficult situation? How do you react under pressure? When you see the impossible, when you’re faced with adversity, how do you respond? For me, my life has completely transformed in many, many ways during the last 4 years. In ways I could never have imagined. This book was put on hold and delayed and left behind many times, but never left my thoughts. It survived so many knocks and came out the other end in amazing shape, as something that I am immensely proud to put out into the world. Already, from those who have read it, I know that Resolver will reflect the topsy-turvy process it endured, and I wouldn’t have it any other way. I made a call. I chose to step out of my comfort zone and deliver a book that I would probably never have imagined writing 4 years ago. It is absolutely crazy, and I love every damn page of it. I hope that you will take the time to read it, and enjoy it. Step into my mind for 337 pages and I promise you will not regret it. If you have been waiting the 3+ years since Tome was published, I thank you dearly for your patience, and I hope that this book pays it back with interest. Resolver is in full edit mode, with a team of proofreaders and editors going through it right now. The book is scheduled for release on October 26th. Perhaps some sort of Book Launch. Resolver will be published on Friday October 26th, and to wrap up the release, some kind of book launch will be happening on the following day in Dublin. The “Untitled Book Launch” is happening in Foley’s Bar in Merrion Row - and while I cannot confirm exactly what book will be launched at the party (the event is being hosted by Jonny Lynch, who you may remember from many April 1st pranks, such as this one) I can guarantee that I will be present, and provided that the printers can get things done with a quick turnaround, some physical paperback copies of Resolver and Tome will be available on the night. There will be fun, laughter and surprises! It’s free entry for anyone interested in coming along. Behold, the gorgeous final cover for RESOLVER - designed by the wonderful Frieda Freytag. RESOLVER is released on October 26th 2018. Tackling the ending has been difficult, a time of second guesses, and uncertainty. I've chosen my path and I'm going to stick with it. This book is pretty ambitious, asking its readers to take a leap of faith with some weird concepts, but I feel that it has come together pretty well. I hope it will surprise a few of you. Five bullet points remain on the list of things to cover off with the last act of the book. Editing and final notes then and off to proofreaders by the middle of September. Six weeks of cross checks and making it all publish-ready and Resolver will be out in the world. A big push over the next little while will get the book finished and ready for editing. The word count is looking to be slightly less than Tome, which was just shy of 100,000 words. With editing, this could change, of course. I'm very happy with how this book is coming together. Time for another bacon sandwich, then back to it. Keep a light on for me, so I can see the finish line. All these light bulbs will make sense one day, I promise. One last thing! In case you are not aware, the digital version of Tome is completely FREE right now on the Store Page. Now is a great time to pick it up and read it, as you can finish it in time for Resolver, and it will revert to paid content shortly after Resolver is released. Go get it. Resolver to be published on Friday, October 26th. On October 26th, the sequel to Tome will finally be released. Resolver will arrive in digital and paperback format via Amazon. Writing has really accelerated on the book in the last six weeks and it rapidly nears completion. A thorough editing pass later and it will be in the hands of some trusted proofreaders for a last polish, then will be ready for publication. More details, and a beautiful new piece of cover art will be revealed soon. I've been in Germany for the last week and it has been great for getting some writing done. A significant amount of the book is done now. The next update on this website will include a release date. A few busy weeks in work have staggered productive writing sessions, but the book is not suffering from it. Characters are very alive. Plot is moving along nicely. Fleshing out scenes and twists and turns is fun. It feels very like the Tome writing phase at the moment. I'm itching to get working on other projects too, which is great added motivation to keep this momentum going. No promises of a release date yet, but maybe don't start any long series any time soon. The writing of Resolver has picked up and I wanted to briefly give an update to anyone wondering what is happening with the book. Last month an extensive planning phase of each chapter of the new version of the book was finished and I spent a considerable amount of time putting together detailed notes on the characters from Tome. This has helped smooth out some of the issues I had with the first draft of Resolver and this new take on the story is already benefiting hugely from it. Resolver (in its new form) is now currently in the full writing phase. This usually comes after an ideas phase, a loose plotting phase and a full planning phase. For this book, there was also a phase of salvaging any work from the discarded version for potential use in this new one. I like to measure progress in bacon sandwiches (10,000 words = 1 bacon sandwich) and so far the pan has been on and the bacon sizzling, so it is definitely coming along quickly, especially if you consider that the planning was only completed ten days ago. A new Prologue was written to open the book with Edwin's viewpoint. The two main characters of Resolver, Adrien and Holly, have also had their first chapters finished. It's early in this process but the words have flowed and so far it has been a joy to write. Taking a step back from the first version and approaching the book from a different angle has helped a lot. So, there you have it. No promises of a release date or major details to share, but the assurance that it is happening and going very well. Better than expected, even. An extract will follow in the near future. Resolver is on its way. Tome - Paperback version out now! Tome is out now in paperback format. Click here for a link to it on the UK version of Amazon. It's also available in other regions, just search for it on your Amazon store of choice. It's been a long time coming, but I've finally decided to put out a paperback version of Tome. The book will be available as part of the Amazon KDP service in the paperback format almost 3 years after the original digital-only release. The book will be released imminently and a link will appear here in the next news update. This marks the first time that one of my physical books will be officially "In Print" since the release of Dead Cartography in 2010. It has been limited print runs and digital only since then. There are currently no plans to re-release Phantoms Doused in Night, Dead Cartography or Over a Fallen Hill in paperback. Anyone who knows me is likely aware of the annual April Fools hi-jinks that my great friend Jonny Lynch likes to inflict on me. This year, he's instigated a kind of challenge (of sorts) involving the completion of Resolver. Who knows, maybe by then we'll have Resolver there too. This evening I completed a thorough analysis of the first draft of Resolver and have a huge list of things to improve and watch when going through the rewrite process. It's time to tell a story. Sometimes you give a little extra for something you know needs it. Something that will be worth it. Sometimes you give too much. It is a common situation in video game development, which I do as my full-time job, that one finds oneself in an impossible situation, with too much work to do before a deadline that is too close for comfort. Most of the time, that results in something called "crunch." Crunch is a thing that happens to most people in games, but generally only truly happens to people who care about the work they do and want to deliver the best possible end result. When you pour your life into something for a prolonged period of time and suddenly that time is coming to a close, you know that what goes out there into the world will be what is remembered. Not the long nights. Not the stress. Not the setting aside of other things. Not the tiredness, the draining, the bottomless pit of endless things to get done. What matters is the end result. The game you put into the hands of a player who then looks at it and says, "Wow." Our game - which I am still painfully unable to announce for various reasons - is at a point where it will be with players soon. It is a scary, exciting, and wondrous thing. Expectations are huge. From our bosses, the publisher, the people we work with each day to bring something to life, from friends, family... Mostly, from ourselves. We have built something. It exists. It is a thing. It's going live. It will be out there. People will read my story, play my content, see the art that my colleagues created, play with systems my friends designed, interact with buttons and create a living, breathing world together through connected play. All from the collective work we did. In modern game dev that's not even the end. We will continue to build, change, improve and add to this game for some time to come. There will be more. What does this have to do with my writing? Well, for one thing, it is safe to say that the number 1 reason why there was no novel in 2017 is because I wrote a video game. The pressure I put on myself to deliver something of quality to the game meant that it took every last puddle of energy that sat within my being. I was completely devoid of energy to put into Resolver and make it great. The fact is, this book is just not ready to go out. It's almost done, mere tens of pages from completion, but in reality, I think it's only starting. I need to heavily revise it. It's a painful thing to admit, but I think that I crunched not only for my job, but for this book, and it suffered for it. So, I look at my job, the game we are creating. I look at the end result of that and I am proud of what we have achieved. I need to have that same, or higher, level of pride in my book before I consider it done. I don't know when that will be. Right now, Resolver is delayed for the foreseeable future until it is ready. I could rush out a substandard version now or make it as good as it deserves to be. I choose the latter. I know that many of you are waiting for this book with anticipation. I am sorry that you will be waiting, but I promise you that it will be worth it. No more crunch for Resolver. It will be done when it is done. Keep a finger on the pulse, Resolver is coming soon.